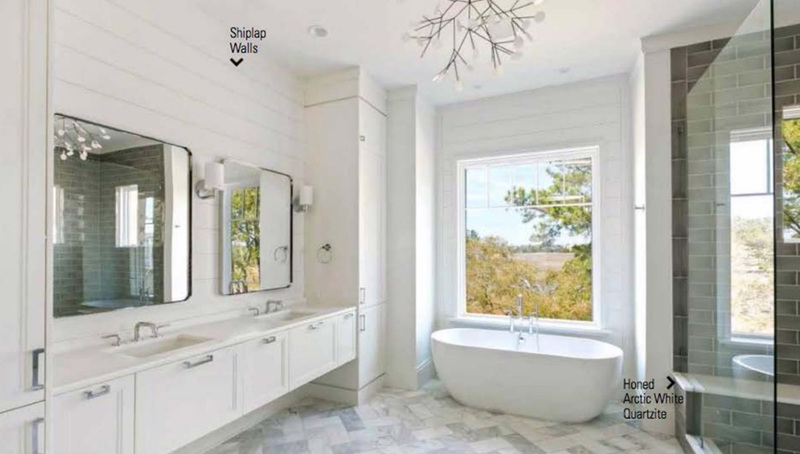 Expertly chosen finishes make this Daniel Island bathroom picture perfect. Bonus! 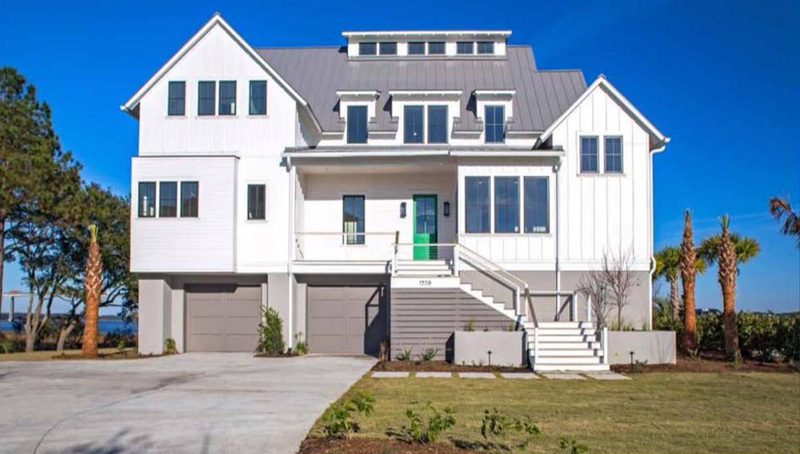 This house will be on the Daniel Island Luxury Home Tour on April 22 as part of the Charleston Home + Outdoor Living Festival. 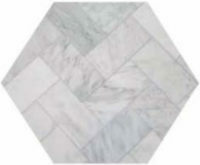 By installing your tile flooring in a fun pattern, you are adding interest without infusing extra colors. 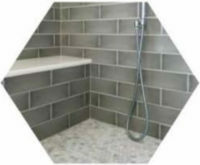 Bathtubs don’t have a monopoly on relaxation; unwind on a stone shower bench.